Here is another great post in the MicroStrategy Community from Jaime Perez (photo, right) and his team. A lot of work when into the preparation of this post and it shows some great ways to use the “R” integration with MicroStrategy. If the above report result is sent to R as an input and the R script breaks down each sentence of the feedback into the term frequency that is grouped by the age groups, it will have 18 rows. Since the number of output elements is greater than the number of the MicroStrategy report rows, the report execution will fail. 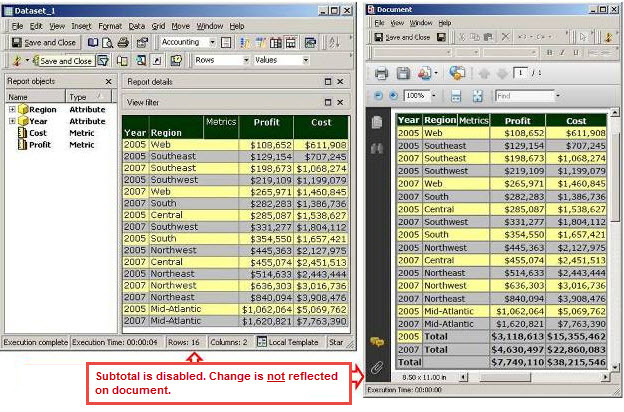 Using the objects in the Tutorial project, this technical note (TN207734) describes one way to display the result of text mining on a MicroStrategy report, using the R integration functionality. – Following the instructions in TN43665, the MicroStrategy R Integration Pack has already been installed on the Intelligence Server. The first step is to decide on which data you wish to perform text mining. In this technical note, the sample report will let users select one year element, the arbitrary number of category elements, and specify the Revenue amount in prompts. The report will then display the value of the normalized TF-IDF (term frequency and inverse document frequency) for every word showing up in the qualified Item attribute elements, grouped by the Category elements. 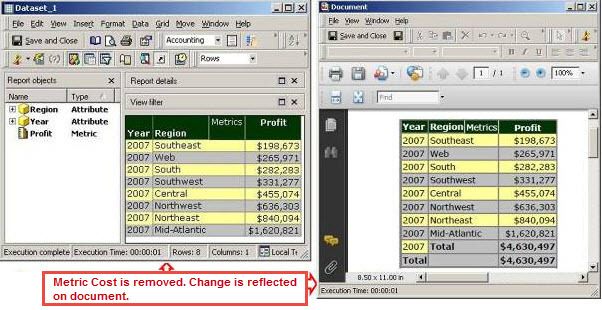 A user may select the following values for each prompt and the report may look as shown below. The elements of the Category attribute. The elements of the Item attribute. The input values to R from MicroStrategy must be passed via metrics. Hence, on top of the current grid objects, additional metrics need to be created. For this sample report, since the inputs are the elements of two attributes, create two metrics with the following definitions so that the elements are displayed as metrics. In the R script, define (1) a variable that receives the inputs from MicroStrategy and (2) a variable that will be sent back to MicroStrategy as the output as depicted below. Since the number of output elements must match with the number of input elements, it is defined as “output = mstrInput2” to avoid the errors. In other words, this script executes R functions to obtain the data that you wish to display in a MicroStrategy report, but the output is the same as the input. More details about how to display the result in a MicroStrategy report will be followed up later in this technical note. In this technical note, after manipulating the input value, we assume that the variable named ‘norm.TF.IDF’ in the R script holds the values of the TF-IDF for each term. In order to display the values of the ‘norm.TF.IDF’ defined in a MicroStrategy report, tables to hold the result need to be created in the data warehouse. 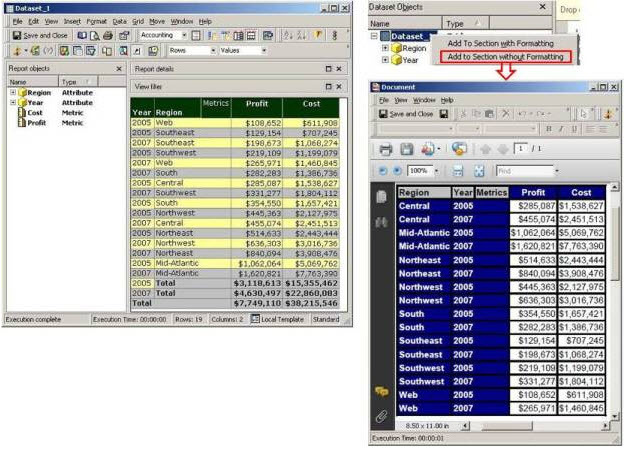 In other words, additional report will later have to be created in MicroStrategy and it will extract the data from the database tables, which are created in this section. In this specific example, the variable ‘norm.TF.IDF’ has the elements of words (terms) and categories and the values of the normalized TF-IDF. Considering the types of data, the first two should be displayed as attributes and the values of the normalized TF-IDF should be presented in a metric. Hence, two lookup tables to hold the term and category elements and one fact table need to be created to store all the data. On top of these tables, one relationship table is also required since the relationship between words and categories is many-to-many. As previously mentioned, the variable named ‘norm.TF.IDF’ contains the values, which a user wishes to display in a MicroStrategy report as shown below. In this R script, four more variables are defined from ‘norm.TF.IDF’, each of which contains the subset of data that will be inserted into the database tables. tm_Category holds the unique elements of the Category. tm_Word holds the unique elements of the Word (Term). tm_Word_Cat stores the values of the many-to-many relationship. tm_Fact contains the values of TF-IDF for every Word-Category combination. In the R script, populate the database tables with the above four subsets of ‘norm.TF.IDF’. The R script is done. It is time to implement this R script from MicroStrategy by creating an R script. In the deployR interface, open the R script and define the input and output that you specify in Step 3 as follows. Since the elements of the Category and Item attributes are characters, choose “String” as its data type. Likewise, since the output is the same as the mstrInput2, its data type is also set to string. Create a stand-alone metric and paste the metric definition of the deployR utility. Then, replace the last parameters by the Category and Item metrics that you created in Step 2. Add the R metric to the report. From the tables created in Step 4, create the Word and Category attributes and the fact named weight. The object relationship is as depicted below. Now, create a new report with these objects. 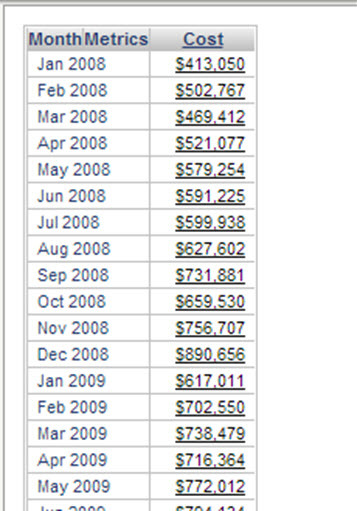 This report will obtain and display the data from the database tables. If the two reports are placed in a document as datasets as shown below, there is one problem: R2 may start its execution before R1 populates the database tables with the result of text mining. In order to force R2 to execute its job after the completion of R1, the VLDB properties PRE/POST statements along with additional database table may be used. The table tm_Flag contains the value of 0 or 1. R2 is triggered when R1 sets the value of completeFlag to 1. The detailed steps are described below with the script for SQL Server. ii. In the VLDB property ‘Report Post Statement 1” of the R1 report, defines a Transact-SQL statement that changes the value of completeFlag to the value of 1.
iii. Define the VLDB property ‘Report Pre Statement 1’ in R2 so that it will check the value of completeFlag every second and loop until it turns to 1. After the loop, it will revert the value of completeFlag back to 0. After this Report Pre Statement, R2 will obtain data from the database, which has been populated by R1. WARNING: The third-party product(s) discussed in this technical note is manufactured by vendors independent of MicroStrategy. MicroStrategy makes no warranty, express, implied or otherwise, regarding this product, including its performance or reliability. This is another one of those little tricks that can save you from pulling your hair out trying to figure it out. By default, hyperlinks in a Report Services document are underlined. The underlining can not be removed by changing the format of the attribute or metric. There is an Enhancement Request open with MicroStrategy on this, but MicroStrategy does currently provide a workaround. 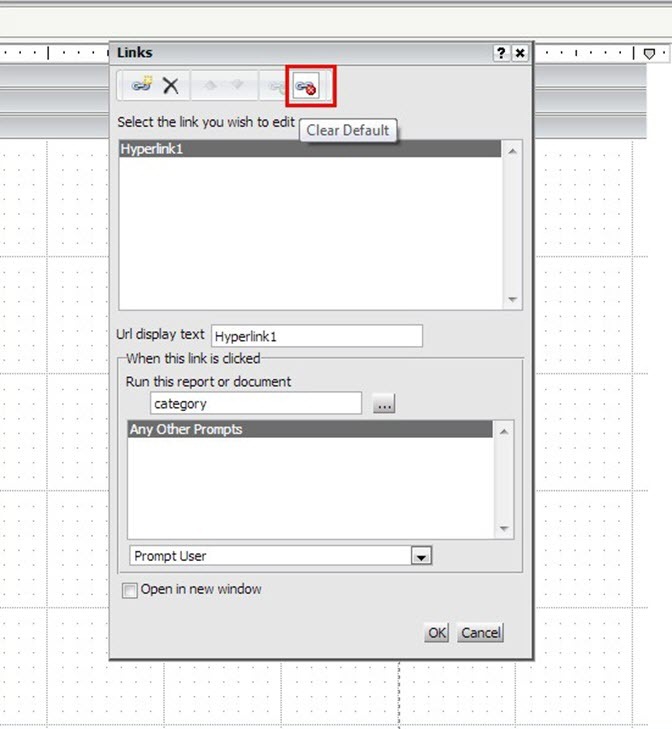 Step 1: Right click the object that is linked and choose Edit Links. Step 2: Click the Clear Default button while the link is highlighted. Step 3: The underlining should now be removed as shown below. CAVEAT: The only limitation to this workaround is that in order to now get to the link, the object has to be right clicked on. The user can not directly click on the object and be taken directly to the new page (see screenshot below). 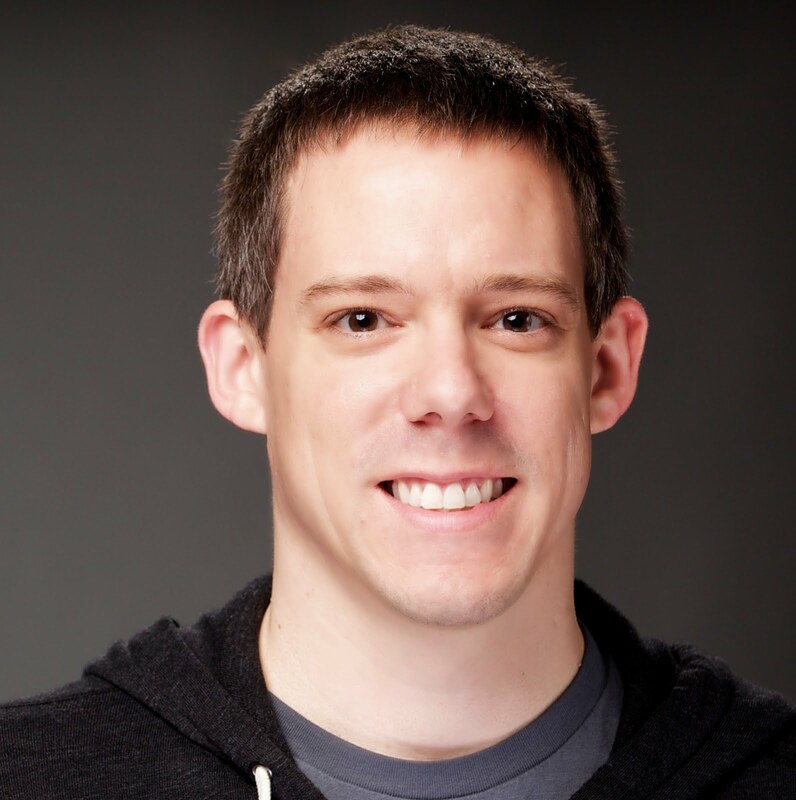 Bryan Brandow, a Data Engineering Manager, has started (or perhaps restarted) blogging again. 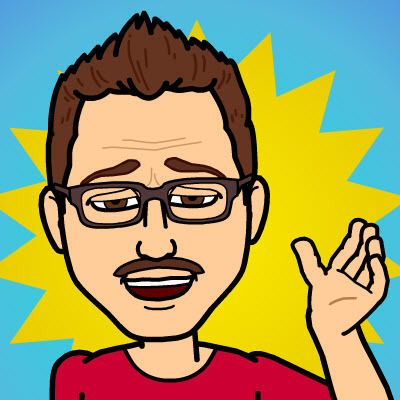 His new blog is called Bryan’s BI Blog and the first post is a must read. It is titled Evolving BI and Bryan shares his latest adventures, his thoughts on the current state of BI as he has observed and experienced it, and where he feels we collectively need to go. Bryan has also migrated all of his old MicroStrategy Blog posts to this blog site and I encourage you to read these as well. Here is a link to the Evolving BI post. While some vendor conferences can end up mired in technical minutiae, MicroStrategy believes it’s better to show, not tell customers how its BI (business intelligence) software works, according to its president, Paul Zolfaghari. ”More than 50 MicroStrategy customers will deliver presentations at the event, which has about 130 sessions planned in total, according to a statement. They include BMC Software, Flextronics, Nielsen, Panda Restaurant Group and Publicis Touchpoint Solutions. Scheduled for keynotes are Facebook CIO Tim Campos and Gucci CIO Simone Pacciarini, who will discuss their use of Microstrategy technology.When it does discuss products at the event, Microstrategy plans to showcase its recently released Analytics Desktop, a self-service BI tool that is available at no charge, as well as its push into mobile BI, Zolfaghari said. It’s also likely MicroStrategy will discuss the massively parallel in-memory computing architecture it’s been working on with Facebook. The technology should be commercially available from MicroStrategy later this year, showing up first in MicroStrategy’s cloud BI offering, according to Zolfaghari. The conference comes as MicroStrategy, the industry’s last remaining large pure BI vendor, faces ever-stiffer competition from platform companies such as Oracle and SAP, as well as upstarts like Tableau and Birst. Forrester clients are also having success rolling out mobile BI based on MicroStrategy’s platform, Evelson said. 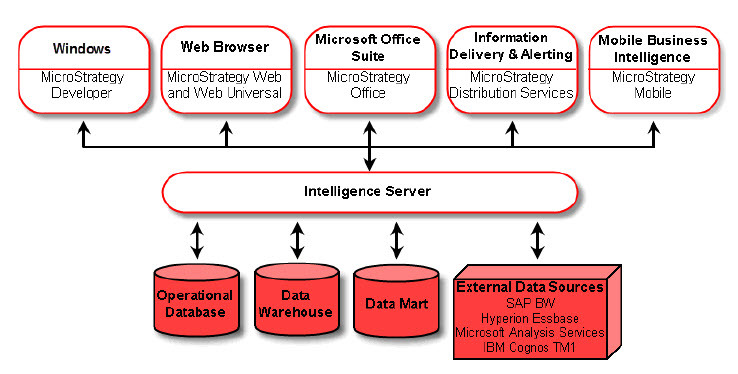 But there’s some cause for concern over MicroStrategy’s “high reliance on a largely disappearing network of partners, many of which have been acquired,” for architectural components such as ETL (extract, transform and load), data quality and MDM (master data management), Evelson added. Zolfaghari downplayed the impact of its partners being acquired, noting that Informatica, a major provider of such tools, remains independent. MicroStrategy also maintains “robust relationships” with companies such as IBM, SAP and Oracle, he said.